One of the greatest kitchen inventions since sliced bread could very well be the crockpot. Crockpots allow us to create flavorful meals with little to no effort. One of the biggest benefits of a crockpot is that it allows us to live life without spending so much time in the kitchen. When we come home, a meal is ready and waiting. We can use the leftovers for another night or freeze them for an easy meal when we are out of time another evening. The best way to take advantage of a Crockpot is to plan your week out ahead of time. Get started with a crockpot chicken week meal plan. By now you probably know how much I love crockpot and Instant Pot cooking. These devices mean less time in the kitchen and more time for me spent doing things I love! While it’s fun to be in the kitchen sometimes, there are other times when I’d much rather be hanging out with my family and not tied to the stove or the oven! For one whole week, you can use different crockpot chicken recipes to fill out your week meal plan and have the answer to what’s for dinner? Having a crockpot chicken week meal plan means your week of meals is already set. By introducing the crockpot into your meal plan you make everything much simpler. The whole week is already planned out and the crockpot makes every meal even easier. Simply make one recipe, save the leftovers and use them for lunch or dinner over the weekend. You don’t have to worry about anyone in the family asking what’s for dinner either. Instead, one afternoon of prep can get you ready for the entire week. Shredded Chicken and Crackers Crockpot Recipe | Best of Life Magazine Monday is usually the busiest day of the week for just about everyone. Work starts back up, school is back from the weekend and the morning can is rushed. The last thing we want to do is spend the evening cooking over a hot stove. Instead, use the little bit of time you have in the morning to get dinner started. Use Sunday night to prep the ingredients, then, in the morning, throw them all into the crockpot and come home to the first meal from your new crockpot chicken meal plan. Dairy Free Slow Cooker Chicken Fajitas | Best of Life Magazine Everyone has heard of Taco Tuesday. Tuesday is the day we all throw a little extra spice into our dinner and wrap it in a tortilla. Unfortunately, most of us take the taco from Taco Tuesday literally. Put the taco shells away this Tuesday and add a little sizzle to your dinner with one of the best crockpot chicken meal plan recipes, dairy free chicken fajitas. Turkey Chili Crockpot Recipe | Best of Life Magazine Okay, yes, the recipe is for turkey but this recipe works really well when you substitute 2 pounds of shredded chicken. Chili is one of the best crockpot recipes because the flavors all simmer together for hours. When finished, you end up with a dish that is filled with flavor and smells amazing. You will most likely end up with leftovers that can be frozen or refrigerated for use later during your next week meal plan. The leftovers would make a great topping on a bowl of rice or on a hot dog. Shredded Chicken Tacos Crockpot Recipe | Best of Life Magazine Taco Tuesday has been replaced with fajitas but that doesn’t mean you don’t get tacos at all. Taco Thursday is the new cool thing to do and you’re already in on the trend. 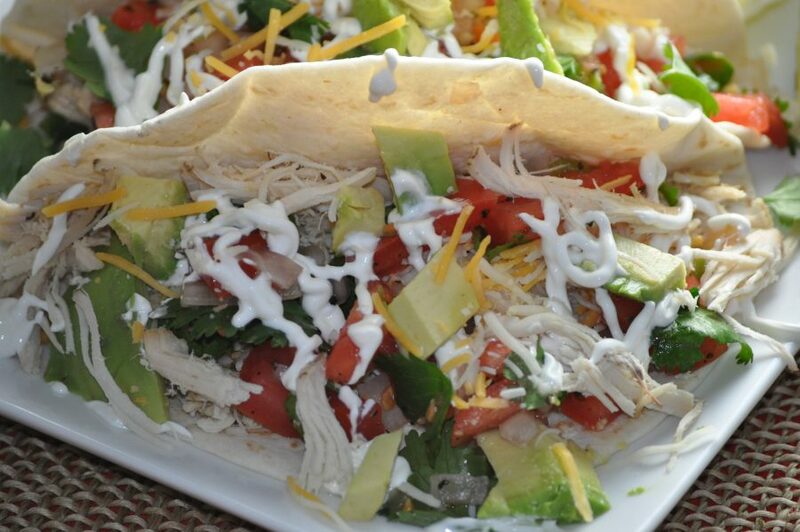 These shredded tacos are not only easy to make and delicious. These tacos are also ketogenic friendly meaning they’re low carb. Add to the carb count that these tacos are also dairy free and you start to realize that these are really healthy tacos for your week meal plan. Stuffed Pepper Soup | My Crazy Good Life Stuffed peppers have grown in popularity and for very good reason. The peppers aren’t spicy and the stuffing can be whatever you’d like. This recipe calls for beef but you can replace it with shredded or ground chicken. Unlike the normal stuffed peppers recipes, this recipe turns it all into a delicious soup. Similar to the chili, you can store and freeze the leftovers to enjoy all weekend long.